Yep, the Big Day is finally here... time for the full reveal and release for sale of the four gorgeous stamp sets designed by Nina B Designs for The Craft's Meow!!! Not only that, but we are releasing not one but TWO beautiful card kits created by the fabulous Sarah Martina Parker!!!. Be sure to stop by The Craft's Meow blog (if you haven't already) to find out if you are one of the winners of the prizes up for grabs yesterday. It just may be my fave of the four sets! 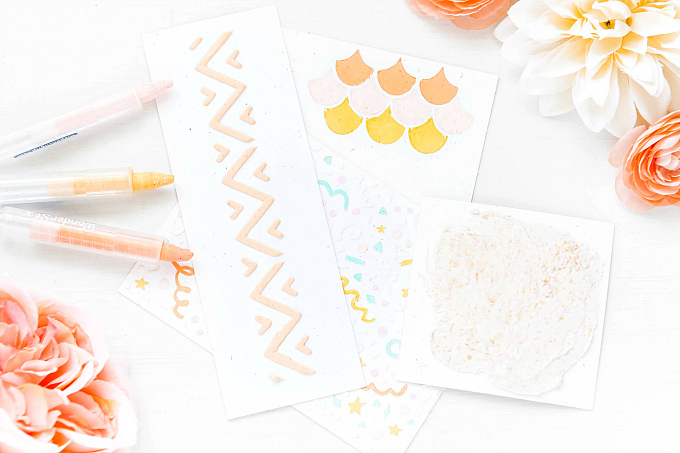 Now, it's time for the ~BIG~ reveal of ALL FOUR stamp sets...To see the stamps sets, hop on over to The Craft's Meow blog and see them for yourself! They are absolutely gorgeous! Butterfly Kisses stamp set (being showcased today)!!! Lush 2 Turquoise Prize Package from My Mind's Eye!!! Includes one each of the patterned and flocked papers shown, plus all the accessories!!! Thanks again Nick!!! Sarah's Butterfly Kisses Card Kit!!! Once again, the prizes will be awarded based on random drawing from the comments left on THREE of the Team blogs listed below! You won't know whose blog has the prize... neither do I, actually, until I draw from a hat...so you'll want to leave a comment on each blog for more chances to win. But please play fair... only ONE comment per blog! You have until 11:00 pm Pacific tonight (May 1st) to make the rounds! The winners will be announced in tomorrow's post. Now that you've seen my creations with today's set, off you go to check out the incredibly talented Debbie Pamment's blog and her lovely creations! Just in case you get lost along the way, head on over to The Craft's Meow blog, for all the links to the gals' blogs! Another beautiful creation! I love the soft colors that you use, and all the fantastic embellies!! So pretty, Ivana! I really like that pale aqua with the cream... reminds me of a powder room. Lovely! How pretty and soft!! Love it! So delicate and purdy Ivana. The 1/2 pearls are like wee b'fly kisses!! Another soft & elegant card. I so admire your talent and ability. Just beautiful. I have just LOVED checking out your incredible work with these gorgeous stamps. Fabulous use of textures and delicate colours! У Вас просто потрясающие работы!!! Очень-очень красиво!!! Oh my goodness, so elegant and feminine and pretty! I love it. I'm always so excited to see a new creation from you and i'm always amazed by the softness and pure quality of it! LOVE IT! Lovely. Each day a new treasure. Ivana, beautiful as usual. nice touch adding the tulle. This is beautiful! The details are amazing! Thanks! Your card is fabulous! Simply lovely! Thanks for sharing! I simply adore everything you create! I am with you this set grabbed my heart, love it! 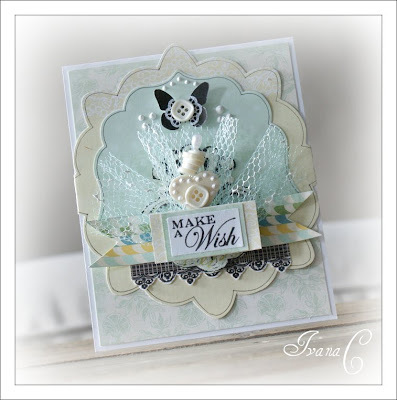 Another gorgeous card, Ivana! Yes, I love that butterfly, too! What an elegant card!! Love your color choice, too! Wow! Love your card...so beautiful! 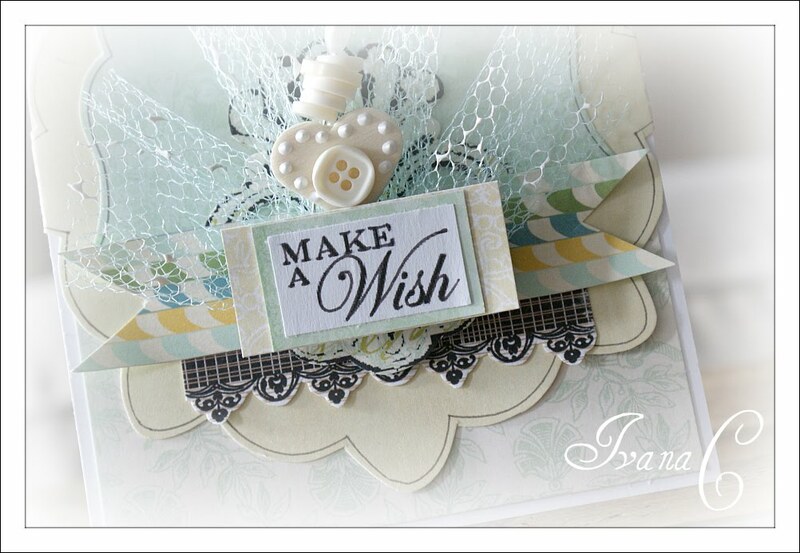 Wow Ivana, you card is so gorgeous and pretty! Love it! OMG Ivana - this is gorgeous! 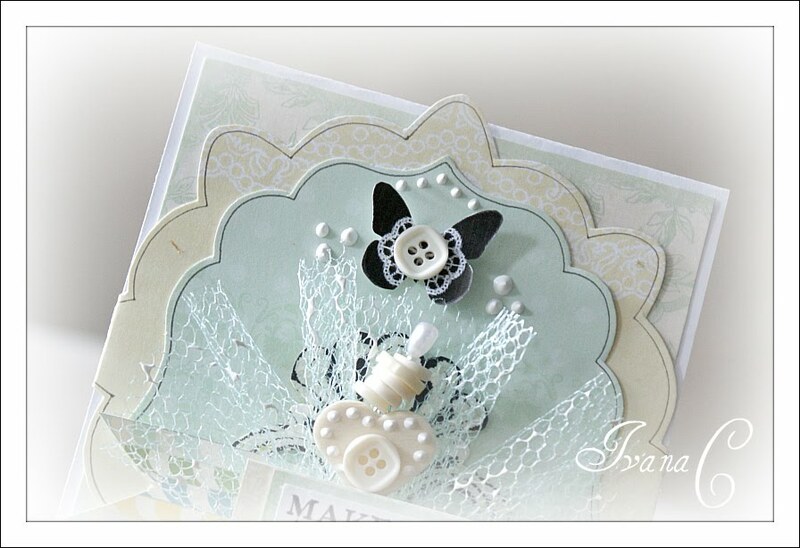 I love the netting on this card - subtle texture - love it! And that stick pin is fabulous - did you make it? I love the soft colors with that little pop of color on the banner. This is absolutely stunning. Just found your blog today. So glad I did and I became a follower right away. You've got some serious talent girl! Very soft and pretty. Thanks for sharing! eeeks! how soft and lovely...so truly elgant! This is so feminine! I love the soft color with the white and ivory. The button in the butterfly center is perfect. Wow, your card is elegant and gorgeous! I agree, one of my faves! Just stunning! Love your soft colors and your gorgeous design! I just love your style...I've never been to your blog until the hops started a few days ago. I'll now be following! Your card is breath taking with so much beautiful detail. I love your style! This is so beautiful! I love the tulle! Very soft and pretty card! Oh what a gorgeous creation... so unique and showcases the set beautifully! Oh my goodness. So beautiful, WOW! Thanks so much for such great inspiration. Absolute eye candy! So pretty! Wonderful soft and pretty card. Love this stamp set. How beautiful. 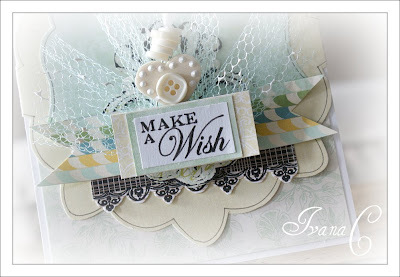 I love the die cuts with the tulle treatment, pins, and the lovely sentiment. Ivana, you are so clever, so very gifted. I adore your art style! Your card is pure lusciousness! Thank you so much for being part of Team TCM. It would not be as much fun or as wonderful without you! Love the soft colors that you used on your card. STUNNING! I LOVE all of the beautiful layers and the soft color palette! Holy cow Ivana, this is just exquisite! love the dots that are your trademark and the brill stacking of buttons on a pin. All your stencilled pretties add such a lovely dinstinction to the yumminess!